In the space industry, composites have been used for rocket systems or large satellites but are not widely used for small satellites. 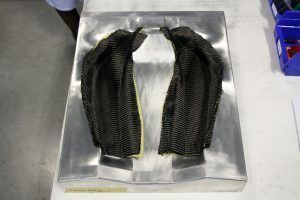 The primary driver for using composites is weight reduction because launch costs can be upwards of $5000 to $20,000 per kg. 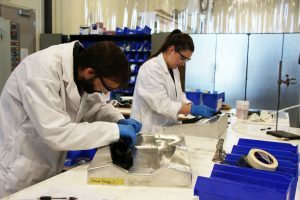 For small satellites, even though saving weight is critical, you do not get the same return on investment if your composite part costs more than a metallic part. The shift in industry is coming from the booming small satellite business; predicted to increase by 24% per year. 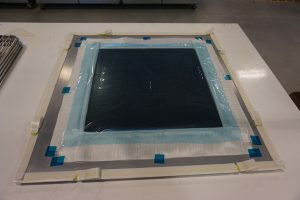 Alastair Komus, Principal Engineer at the Composites Innovation Centre (CIC), selected this topic for his Masters of Science in Space Studies thesis through the University of North Dakota. He received support from the CIC, Boeing Canada and SED Systems. Traditionally, for space structures, composite parts have been made in autoclaves that have high capital and operational costs. Out-of-Autoclave (OOA) is an alternative and more cost-effective process where the part is made using only a vacuum bag and cured in an oven. 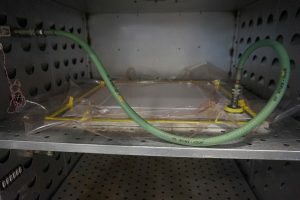 A key part of his study was examining the outgassing performance in the vacuum of space, comparing the OOA parts vs. the autoclave parts to see if this is a viable manufacturing process for industry to produce the same quality of parts at a reduced cost. In the vacuum of space, outgassing occurs due to the release of moisture and volatile gases from the composite. 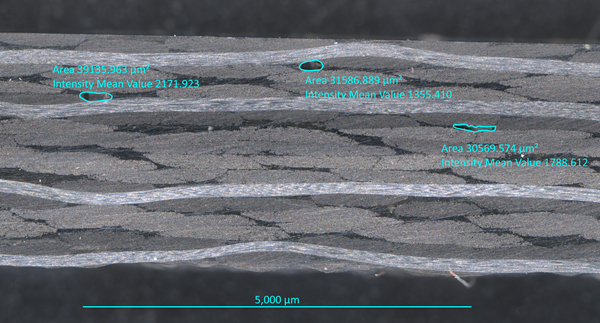 Outgassing can degrade the accuracy of mounted sensors due to part deformation and surface contamination. 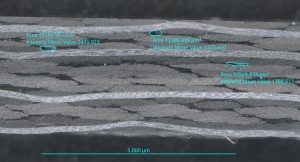 It was found that the processing humidity levels and length of vacuum hold before cure, had no discernable effect on outgassing performance. 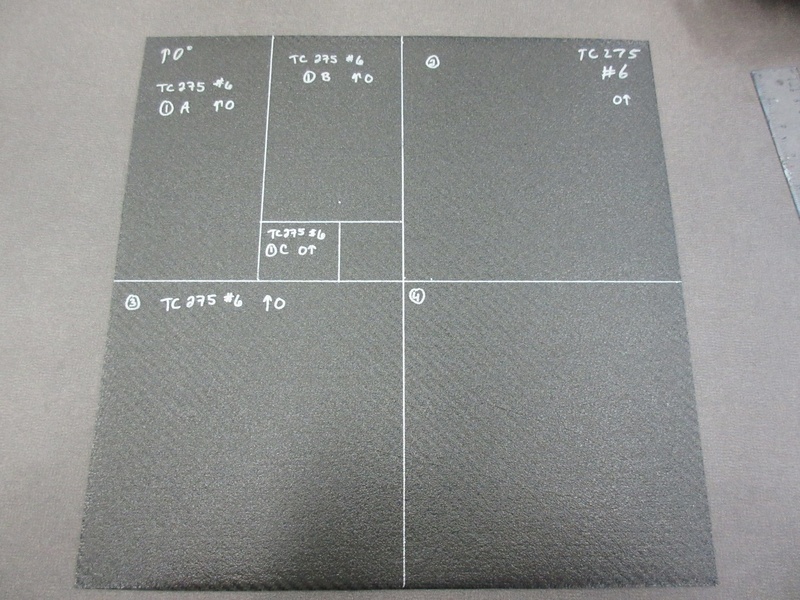 Outgassing levels were dominated by moisture saturation after manufacturing and the chemical composition of the resin. 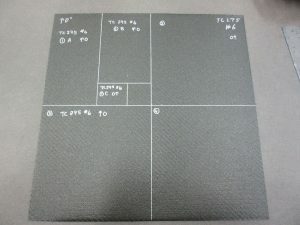 He also found that the outgassing performance of the OOA parts were comparable to the autoclave cured parts and therefore could be used as a more cost-effective manufacturing method for small satellite structures. Imagine never having to worry about being able to charge batteries when you are in a remote location. We worked with Bionic Power to create durable, light-weight carbon fibre shells to house small generator boxes that are worn on your legs to generate power. Bionic Power is a Vancouver-based company that designed a wearable technology for charging batteries. They created the technology and approached the CIC to assist with the design, prototyping and first manufacturing run of the shells to hold the generator boxes for contracts with the U.S. Army, U.S. Marine Corps and Canadian Forces. Our staff began with a feasibility study to determine which would be the best-suited manufacturing process. 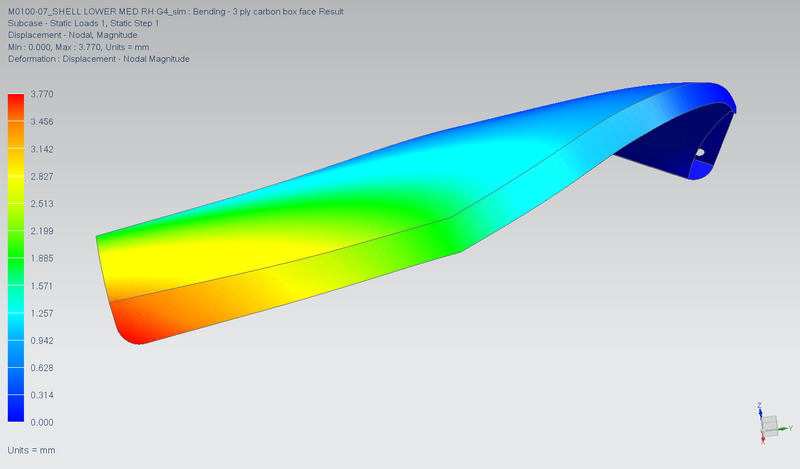 We then performed finite element analysis (FEA) on the provided CAD models and selected the best materials based on those results. We analyzed the models for two main loads; the first was when someone bends their leg, a certain amount of force goes into the shell and generator box; we ensured that the shell wouldn’t twist or break. The second was when someone crawls through a window and rests their shin on the frame; the shells needed to withstand the body weight and not break. From there we developed the manufacturing process and tooling design, including trials to ensure the selected carbon fibre and Kevlar materials were going to work properly and not deform when cured because of the complex shape. 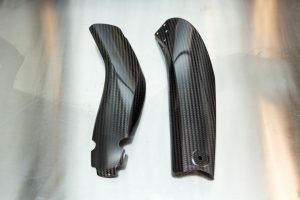 The final parts were primarily made with carbon fibre but had an added layer of Kevlar on the back side to protect the person wearing the shell from carbon fibre shards if the shell was broken by a bullet. We did the first production run of over 100 units (4 shells per unit) and were able to meet a very short timeline for their contracts with both the U.S. Army and Canadian Forces. The shells are now in infield trials with soldiers and Bionic Power is exploring a new production system to handle large-quantity orders.